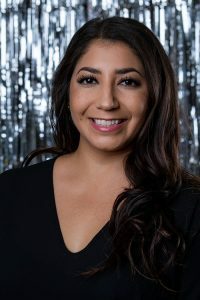 Genevieve Brooks received her Bachelor’s in Social Work in Colorado where she cheered for two years, as well as danced/choreographed and coached dance for three years. She has worked in the child welfare field for over 12 years and has been with Arizona’s Children Association the past four years. Genevieve is a Supervisor over Foster Care, Kinship Care and Adoption out of the Gilbert office. People in the caring profession surrounded Genevieve, as her father and sister are social workers. Her family modeled and instilled empathy and advocacy for children throughout her childhood. She is passionate about the social work field and the children and families she services. She is happy to volunteer her time for this cause and is excited to try something new. Besides work, Genevieve loves spending time with her family and friends, trying new foods, going on adventures, traveling, dancing, and coaching cheerleading. Support Genevieve Brooks by purchasing your sponsorship, People’s Choice Votes and/or tickets below to attend our brunch event on December 1, 2018. If you aren’t able to attend, you can still support her by purchasing votes for her to win the People’s Choice Award!